Translations Update: Top Five Languages 100% Complete! In many ways, the Internet has made our world smaller than ever before. Distance and language are no longer barriers to business or communication. Although English is the most popular language used on the Internet, it’s the third most popular language spoken around the world. 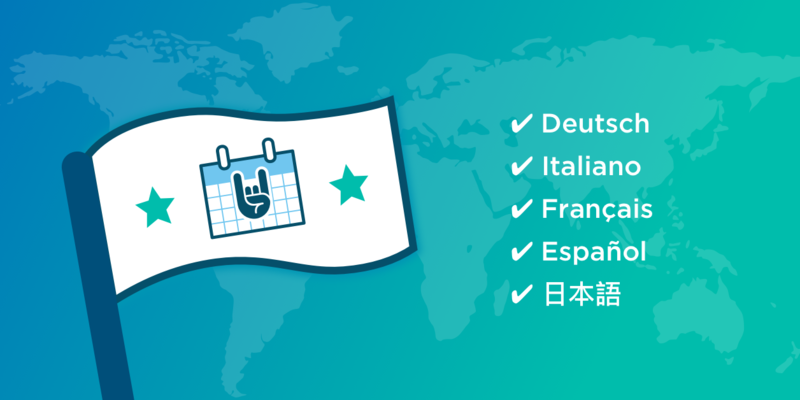 To better serve our international users, we’ve dedicated resources to fully translate the top 5 language files for Events Calendar PRO, Event Tickets Plus, and Tribe Common. We’re excited to announce the following languages are 100% translated for Events Calendar PRO, Event Tickets Plus, and Tribe Common! To download the translation files for these languages (as well as others that are currently in progress), please visit our translations site. We love the diversity represented in our user base! While these 5 languages are the only ones 100% translated right now, we have many other languages and other projects available with varying degrees of completeness. As our team continues our translation progress, we welcome contributions from the community for new language translations and updates to existing translations. If you would like to contribute, our translations knowledgebase article explains how to help. Our support team recently hosted a live webinar to help users navigate our translation files, integrate with 3rd party translation plugins, and answer common troubleshooting questions. You can view the translations webinar recording here.